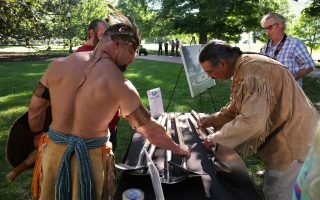 The heart of downtown Richmond was strangely quiet as more than 200 people, led by the chiefs of Virginia’s Native tribes, stepped forward to spread tobacco over a freshly turned plot of ground. 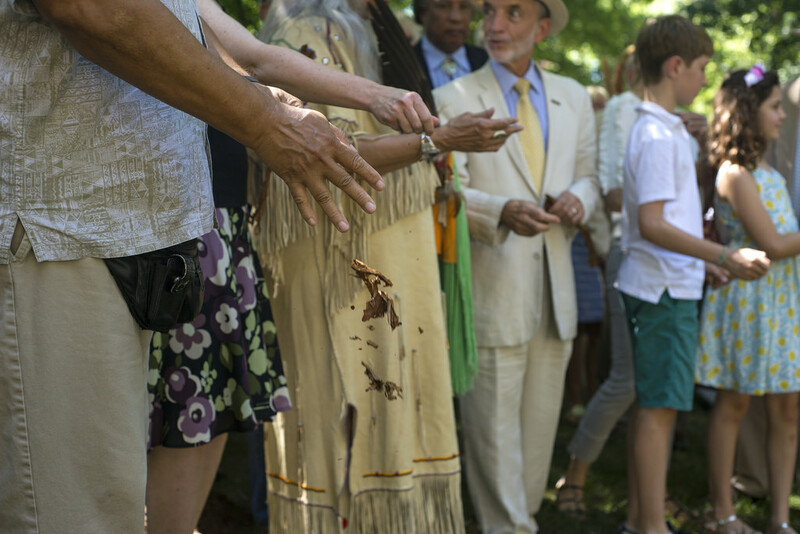 On this bright Saturday morning in late June, members of Virginia’s eleven state-recognized tribes, joined by long-time friends and supporters, had come together to honor and celebrate the strength and resilience of Virginia’s Native people, and the power of their story to heal and inspire. 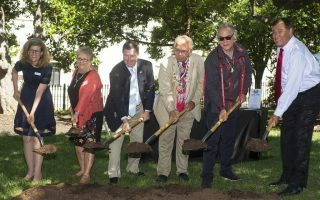 The occasion was the groundbreaking ceremony for a new tribute to Virginia Indians, in the form of a permanent installation near the Belltower at the southwest corner of Capitol Square, which will soon welcome visitors from all parts of Virginia and the world. 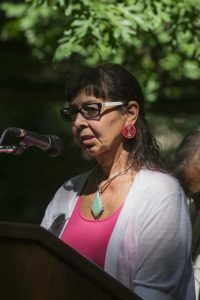 The mood was both solemn and joyous as the tribes were recognized one-by-one and Chief Emeritus Ken Adams (Upper Mattaponi) and VFH director of Virginia Indian Programs Karenne Wood (Monacan) offered prayers. 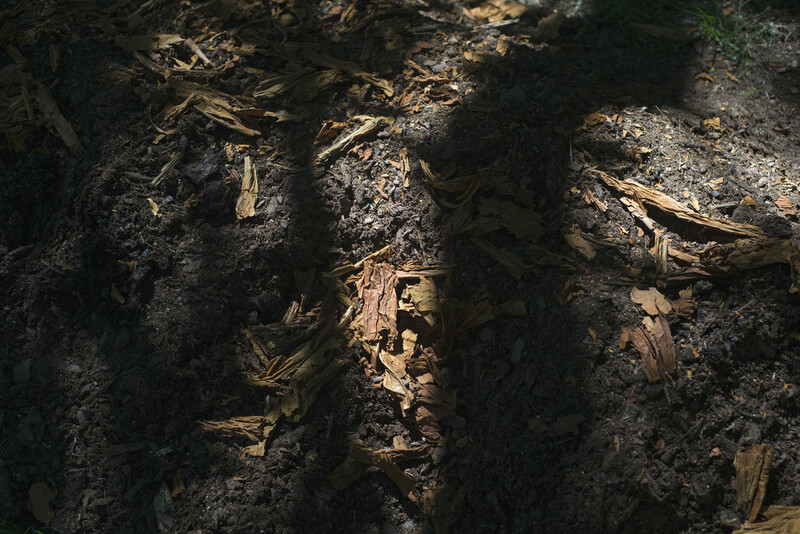 It recalled another gathering thirty years earlier, the beginning of a long arc leading to this day. 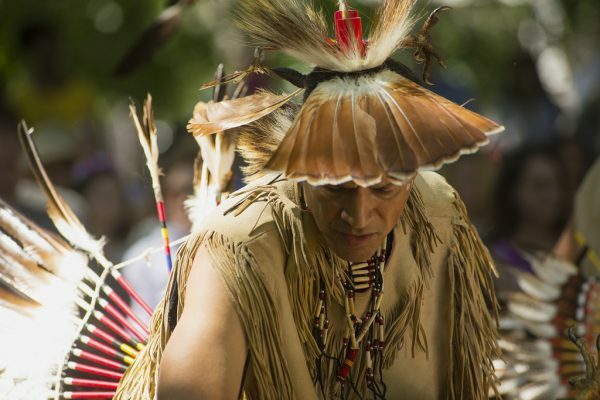 It was in the spring of 1987 when chiefs and other leaders of the then-eight state-recognized tribes gathered in Williamsburg. 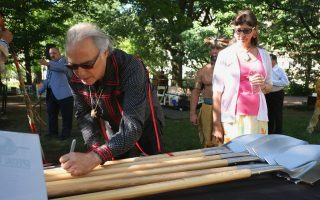 This was the first time all the tribal leaders had met together in a public setting, and VFH supported the event with a grant to the United Indians of Virginia. 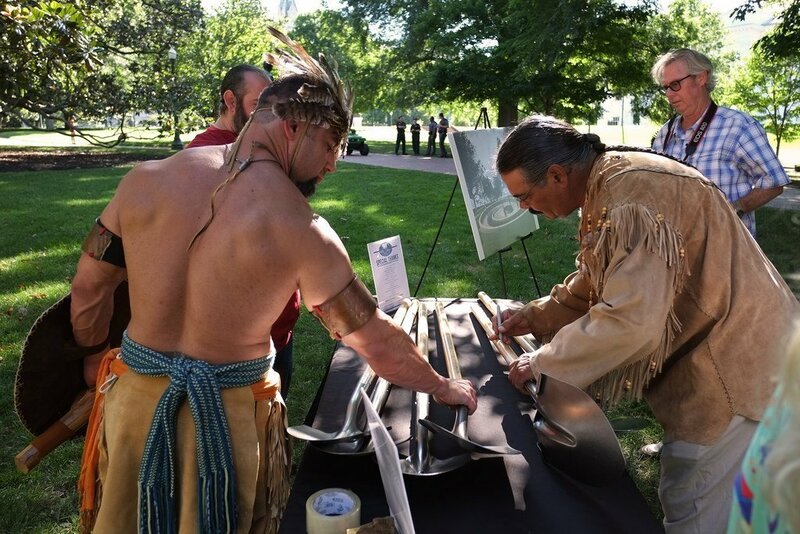 It was also the first time an audience of professional historians, archaeologists, legislators, and the heads of state agencies had come together to listen to the concerns and aspirations of Virginia Indians, expressed directly by the chiefs themselves. The chiefs spoke, one after another, about the hardships their ancestors and they themselves had endured. They spoke with the voice of an older generation who remembered and had experienced first-hand the devastation of Virginia’s Racial Integrity Acts, which effectively denied Virginia Indians the right to claim their own identity. 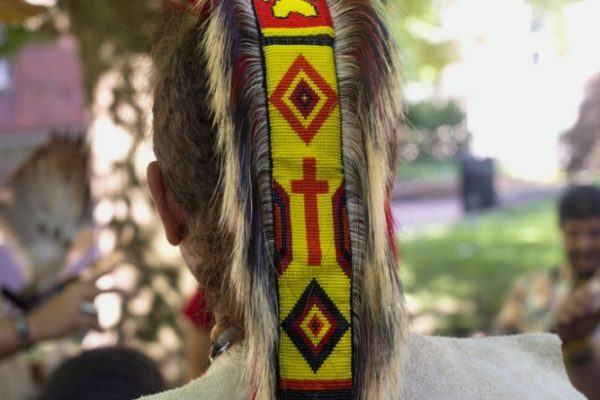 They also represented a generation of Native people who had largely been denied the benefits of formal education, who had fought against invisibility and to keep their traditions and tribal memories alive. 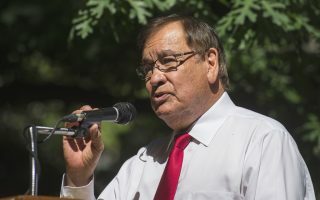 But this elder generation of chiefs—Webster Custalow (Mattaponi), William Miles (Pamunkey), Earl Bass and Oliver Perry (Nansemond), Captain O. Nelson (Rappahannock), Leonard Adkins (Chickahominy), Marvin Bradby (Eastern Chickahominy), Raymond Adams (Upper Mattaponi), and Ronnie Branham (Monacan)—also had a vision, and their message on that day was clear: We’re still here; the history that has been written about us is not true and must be changed; and we need ways to tell our own stories and the story of Virginia from our perspective. The power of this message and all that flowed from it has, over time, transformed the ways that many Virginians understand the past. 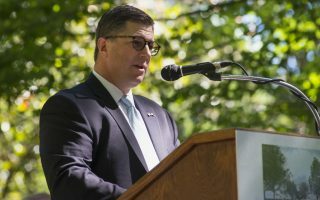 It has led to an ever-widening recognition of both the struggles and the awe-inspiring strength of Native people and communities in the Commonwealth. 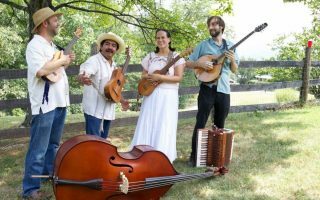 It has also inspired VFH and helped to shape much of our own work over the past three decades. 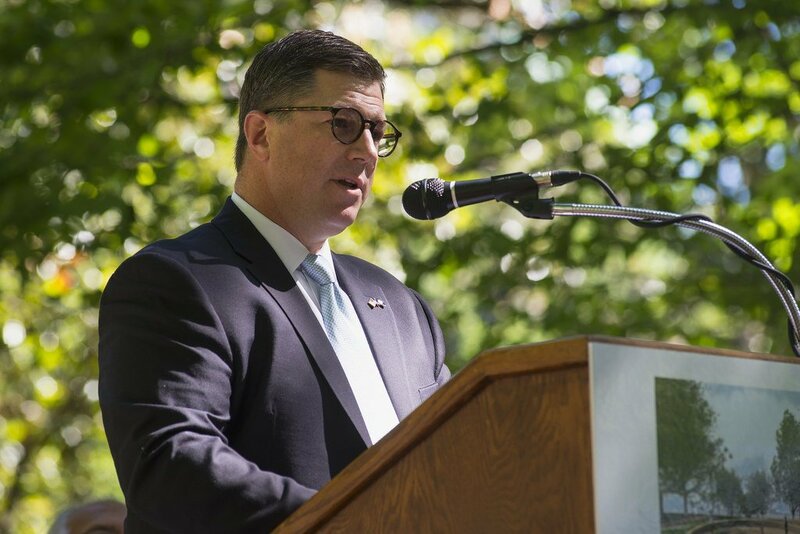 This work has included grants to the Pamunkey, Rappahannock, Upper Mattaponi, Monacan, Nottoway of Virginia, and Chickahominy tribes. 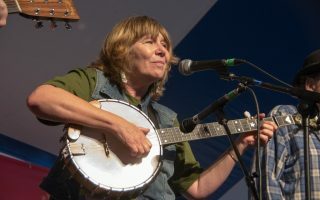 It has also included hundreds of public programs and presentations featuring Virginia Indian leaders; recognition of Pamunkey traditional potter Mildred Moore and the Chickahominy Tribal Dancers as master artists in VFH’s Folklife Apprenticeship Program; establishment of the Virginia Indian Heritage Program at VFH in 2007 and the Virginia Indian Digital Archive in 2014; and a series of Content Academies for Virginia teachers, designed to improve the ways Virginia Indian history is taught in the state’s public schools. 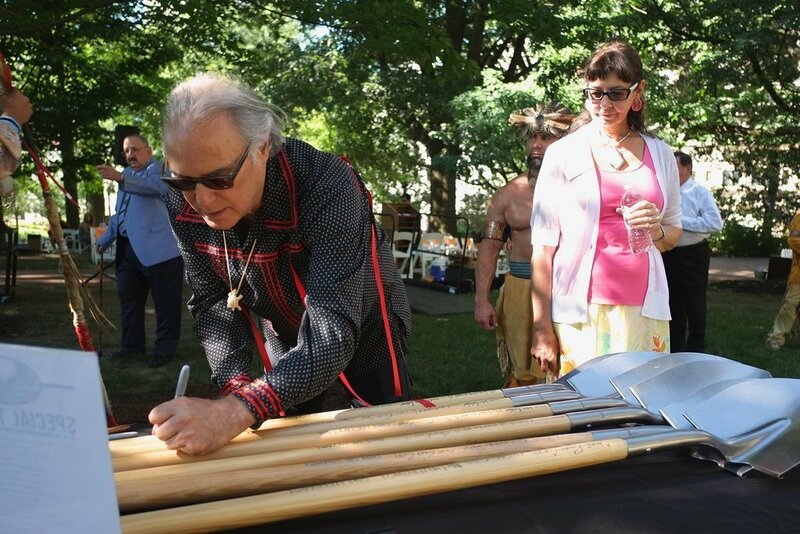 Virginia Indian chiefs sign ceremonial shovels at monument dedication. 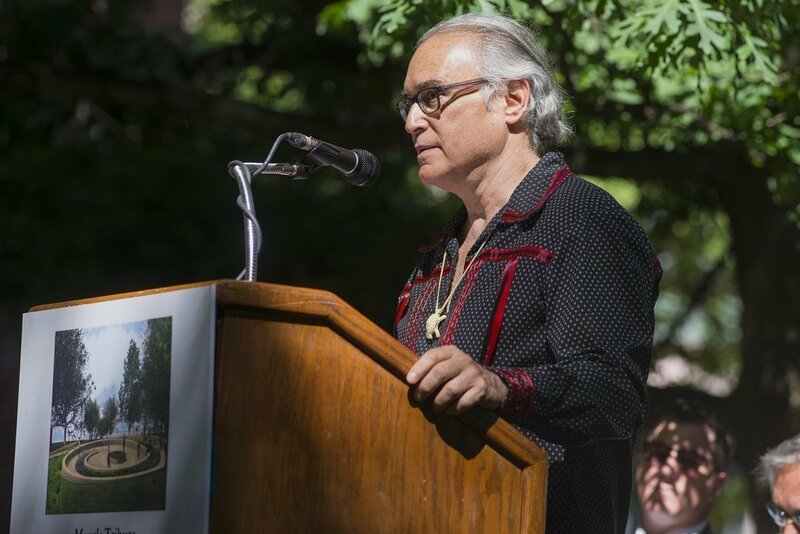 Back on Capitol Square, the Groundbreaking celebration continued with a moving series of remarks by Delegate Chris Peace (former VFH Board Member) who first introduced the legislation (House Joint Resolution 680) establishing a Commission to guide creation of this tribute; Alan Michelson (Mohawk), the artist who designed it; and Billy Mills (Oglala Lakota) whose foundation, “Running Strong for American Indian Youth,” was a sponsor of the event. 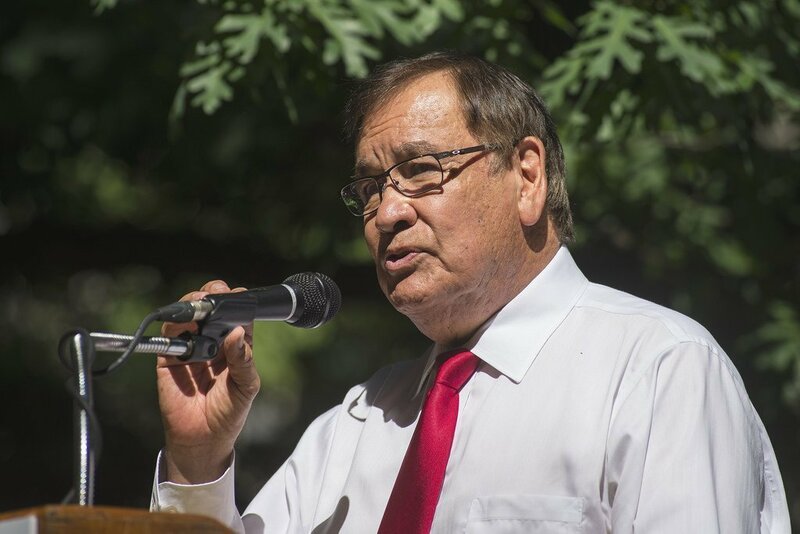 Mills is an inspirational figure, especially among Native people. He was an Olympic athlete and the only American ever to win a Gold Medal in the 10,000 meter race (1964). 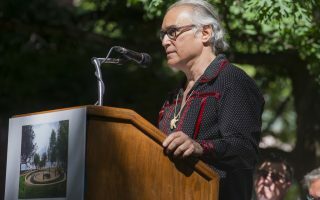 His personal account of his own struggle to heal “the part of me that was broken” spoke to many in the audience, as did his vision of a world “united by diversity” and healed of the wounds of conquest. The title of the Tribute—Mantle—is inspired in part by a ceremonial cloak owned by Paramount Chief Powhatan and now held in the Ashmolean Museum in London. The cloak is decorated with shell-beads sewn in spiral clusters. 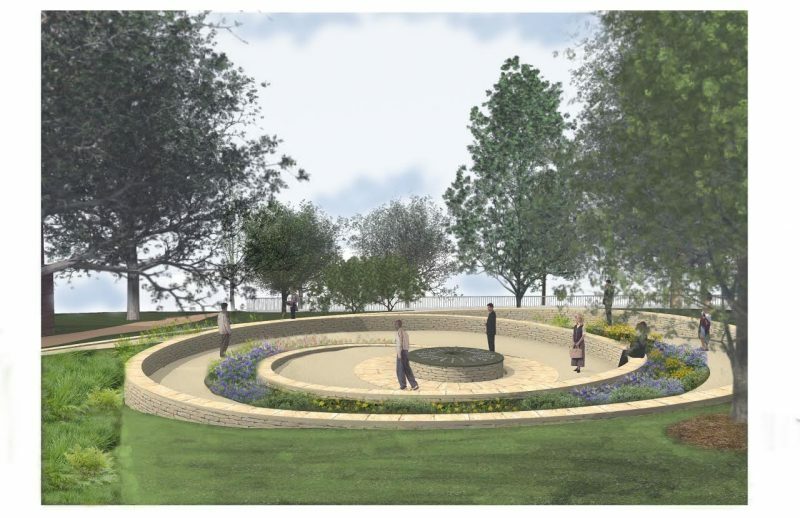 The site design also evokes the shape of the Nautilus, symbolizing strength, knowledge of the past, permanence, and continuous growth. 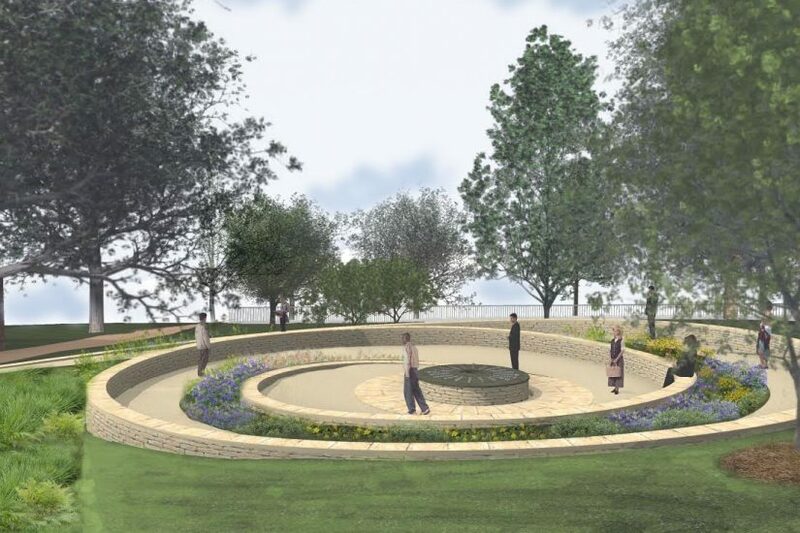 It features natural landscaping and meditation areas honoring the names of Virginia rivers which also bear the names of the state’s Native tribes: Chickahominy, Mattaponi, Nansemond, Nottoway, Potomac, Rappahannock. 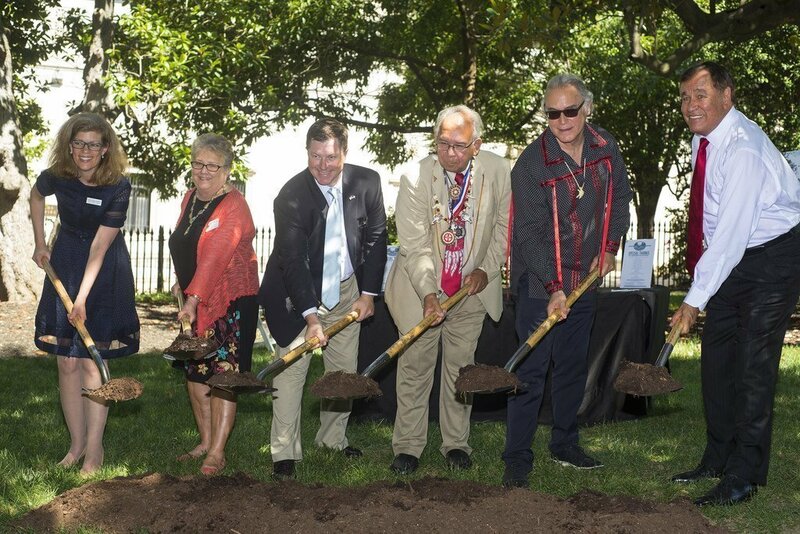 In creating this tribute, Virginia is taking a step that the chiefs who met together back in 1987 could barely have imagined. 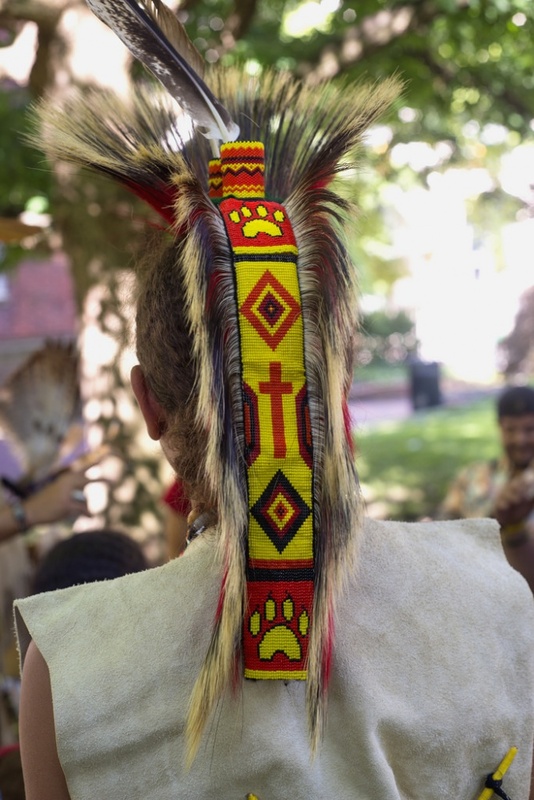 Its impact, both real and symbolic, is immense; and its acknowledgement—that Virginia Indians were here when the English arrived and are still here—is itself a landmark in a healing process that is long overdue.